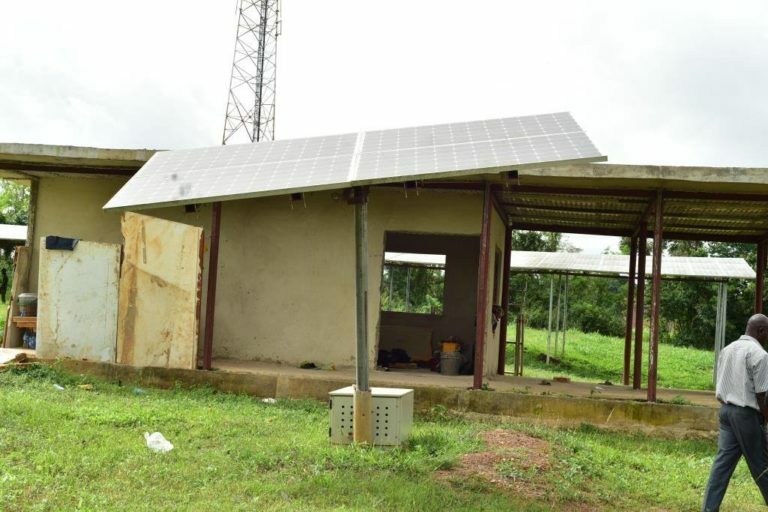 As a way of improving its Renewable Energy effort to de-emphasize dependence on the national grid, the Centre for Renewable Energy Technology (CRET) of the Federal University of Technology, Akure has developed solar-powered generators- FUTA Solar Box I and FUTA Solar Box 2.The generators of various capacities which components include Lithium Polymer Battery, Inverter, Change Controller, Socket Outlet, Fuse and Switches can power Television set, fan and a number of bulbs for a minimum of five hours at a go. Presenting the generators to the University Management led by the Vice-Chancellor, Professor Joseph Fuwape, the Director, CRET, Professor Olurinde Lafe, represented by the Associate Director, Professor Moses Awodun said the idea behind the generator was to alleviate the energy challenge being experienced by Nigerians. 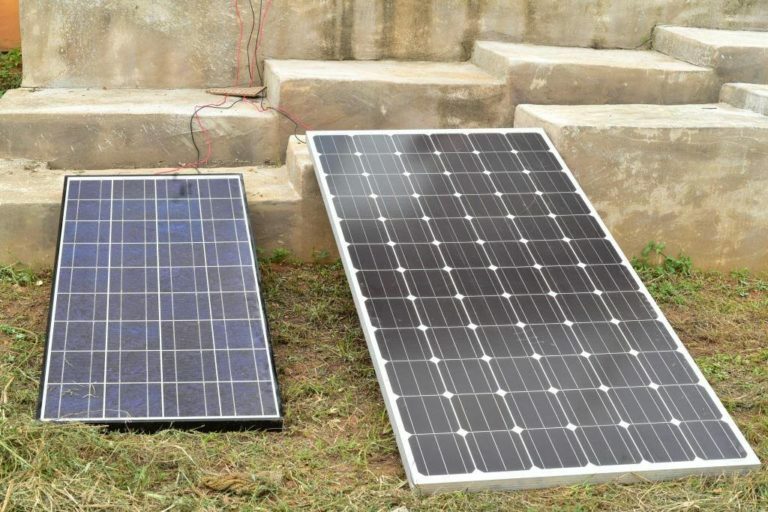 According to him, the Box 1 with a capacity of 120w and which comes at a cost of N65, 000 with the solar panel and installation is targeted at students and other low income earners, while the Box 2 which is of 200w costs N110, 000 with panel and installation and targeted at staff and medium income earners. 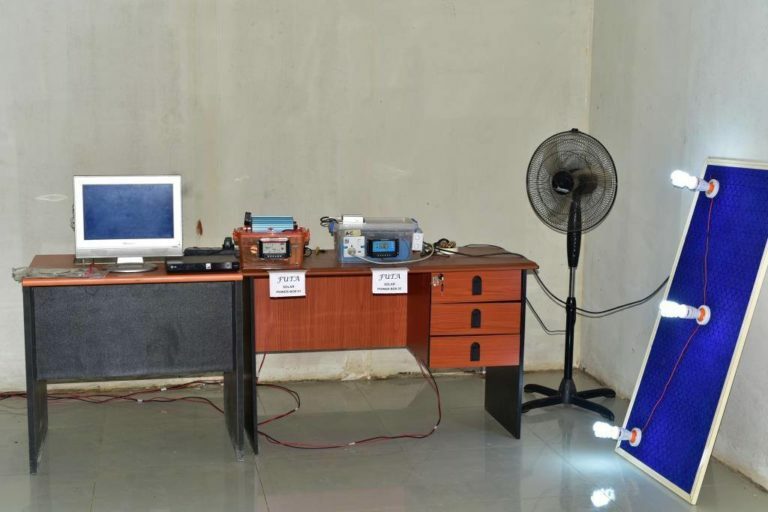 Professor Awodun said at the flat rates, the noiseless and fume free generators are cost effective in comparison with others in the market with monthly subscription after installation. Explaining the components and functionality of the power generators, the Project Officer, CRET, Mr. Adekunle Adefela said the solar boxes are cost effective with no maintenance fee. 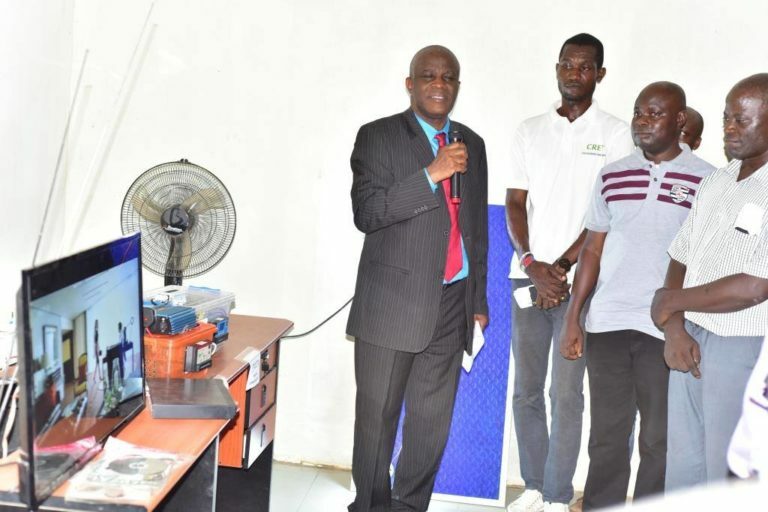 Commissioning the generators, the Vice-Chancellor, Professor Joseph Fuwape commended the CRET team for its ingenuity in developing such solar boxes at a time when the masses are groaning under the pain of incessant and erratic power supply. According to him, opportunities abound in FUTA and since Renewable Energy is a major way out of the challenging energy need, CRET which also operates from a Net Zero building that generates its own electricity is on the right track . He described the FUTA Solar Box I and FUTA Solar Box 2 as practical demonstration of Renewable Energy. Fuwape commended CRET and FUTA’s efforts at impacting the community, assuring of that they will be repackaged for commercial purposes. He called on Cooperative societies and interested members of immediate and external communities of FUTA to leverage on the opportunity and advantage of the power box. Professor Fuwape also the commissioned Solar Energy developed by CRET. The Solar Energy Pole can successfully power a two bedroom flat and at reasonable cost.